When FastCompany.com -- a leading business magazine publication -- relaunched their website in 2008, their traffic from search engines dropped off significantly. Fast Company hired Volacci to audit their website for Drupal marketing best practices. Volacci provided an in-depth analysis of FastCompany.com and determined many problems with the website. 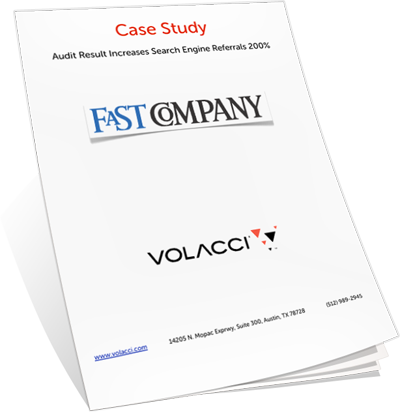 Using Volacci's findings, Fast Company implemented fixes on their website which restored and increased their search engine traffic.